Well, there is no time to get bored - no sooner had Matrox and 3Dlabs announced their new products, than SIS came out with its Xabre. 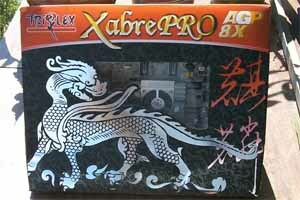 This is one more attempt of the company prospering on the chipset market to extend its share in the graphics sphere. 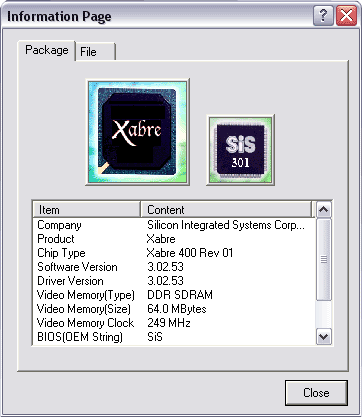 In February 2003 SIS will come out with the DirectX 9 compatible Xabre II. Undoubtedly, the new family can't boast of perfect architecture or performance. But the breakthrough from its previous products is great - the new chip possesses a noticeable architectural advantage so far unobtainable for other competitors of this niche. I mean hardware pixel shaders available now in the budget product. Here, as you now, there are three important factors: minimal price, good price/performance ratio and lack of difficulties in adjustment and exploitation. Later we will look deeper into them, and now a bit of theory. 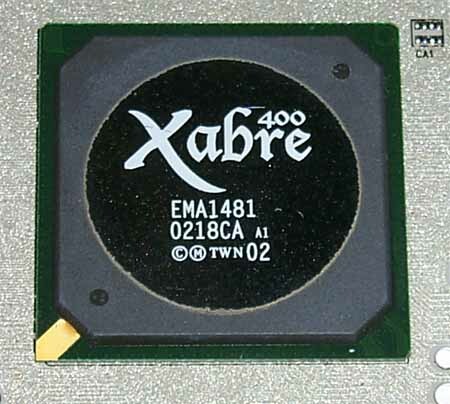 Xabre 400 loses to its competitors in the core frequency (except MX 420 and junior models of ATI). 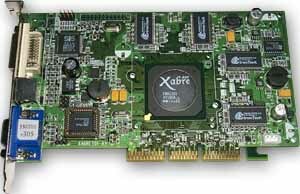 Xabre 400 doesn't have two normal RAMDACs integrated into the processor, unlike its competitors, but its has the second CRTC, which, with an external RAMDAC, TV-Out or DVI interface, allows displaying images on two receivers (this is typical of the previous generation - GeForce2 MX and the others). The internal architecture is similar to the NV20/NV25 - 4 fill pipelines, 2 texture units per each. Their results can accumulate, thus, giving up to 4 textures per pass, like in case of the NV20/NV25. Hardware support of pixel shaders 1.3. Despite the T&L unit which allows using up to 10 light sources this unit is not programmable. 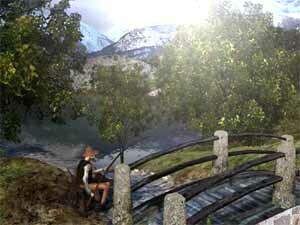 As a result, there is no hardware support for processing of vertex shaders. 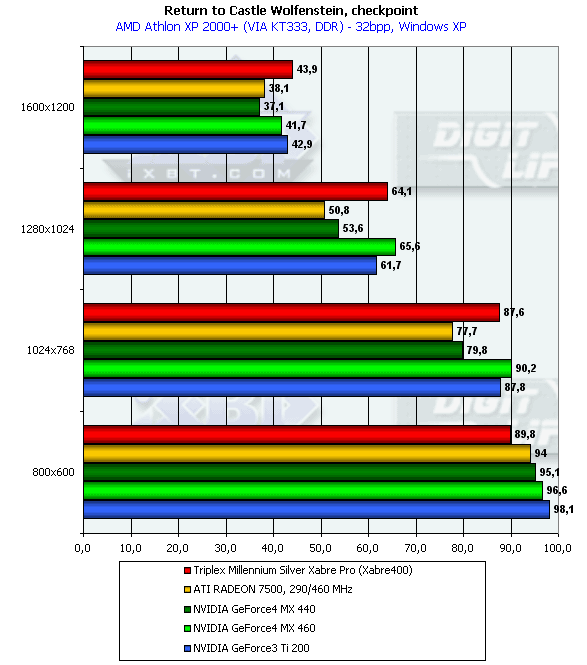 This is quite rational, as vertex shaders can be emulated by almost any modern processor, unlike pixel shaders. We will examine the respective aspects of the chip's performance. 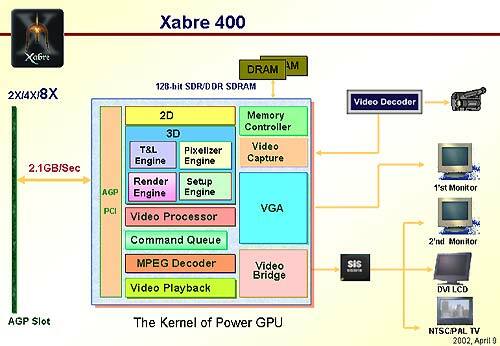 Xabre 400 doesn't have any technologies for saving memory bandwidth. At least, they are not mentioned, and the test results show that they are absent. 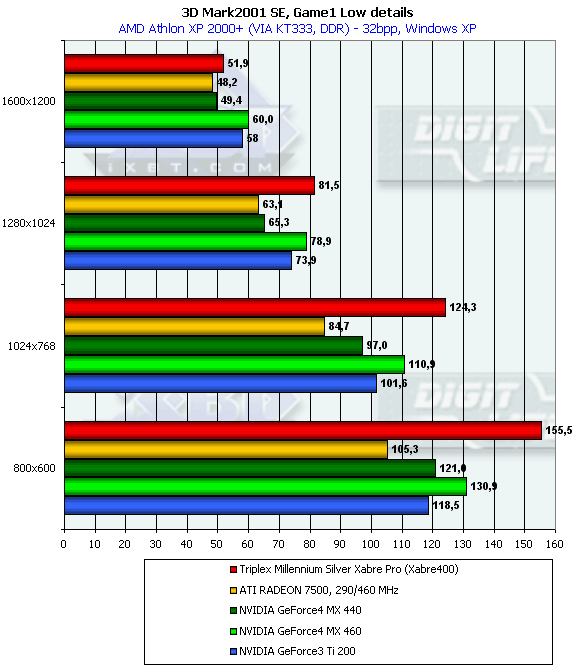 Multisampling has the same 2..4 samples, still unobtainable for ATI's products. 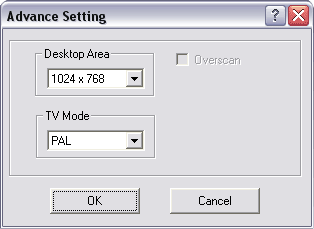 Full-screen anti-aliasing is probably realized only through the supersampling (SS FSAA), 2x and 4x modes are supported, but this feature is not publicly available in the current drivers. 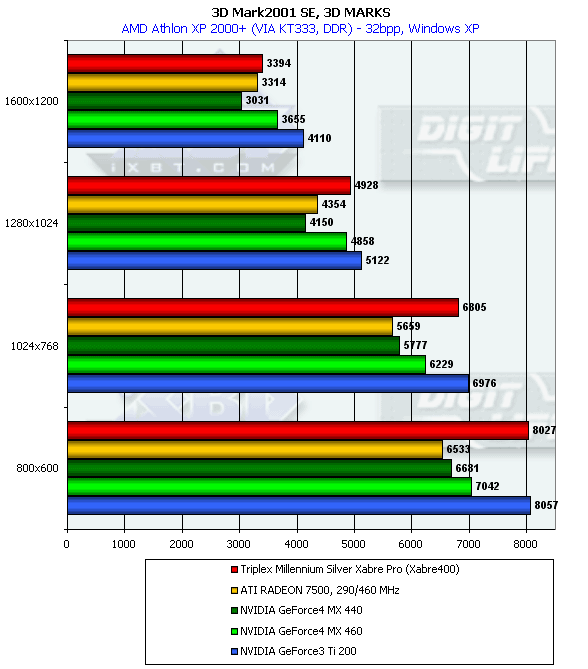 No anisotropy is realized on the hardware level or still unsupported by the drivers. 3D textures, environment maps, all standard texture compression methods (DXT1..5) are supported. 16, 24 and 32bit Z accuracy, and 8bit stencil buffer. 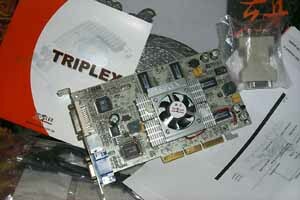 This is not the first review of Triplex products - here we already examined GeForce4 Ti 4600 and GeForce3 Ti 200. 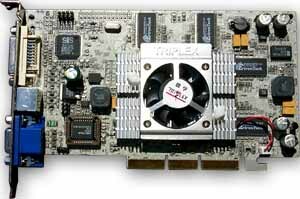 As you might remember, Triplex Corporation was founded in 1991. 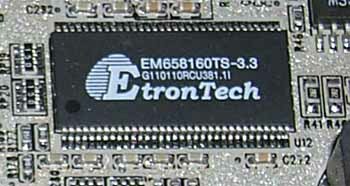 In 1992 the company offered up-to-date products based on the Tseng Labs chip - ET3000 and then ET4000. Triplex successfully distributed its products (later its cards were based on chips from S3, SIS and others) both on the OEM and Retail markets. This company is mostly known in China and Taiwan. 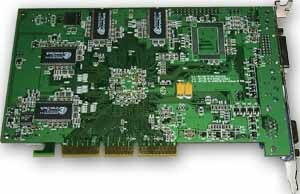 At present, this company produces video cards based on processors from NVIDIA, as well as from SIS and PowerVR. 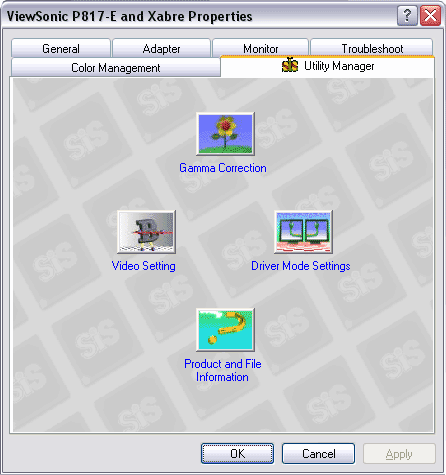 Some time ago it announced a SIS Xabre product which is tested today. 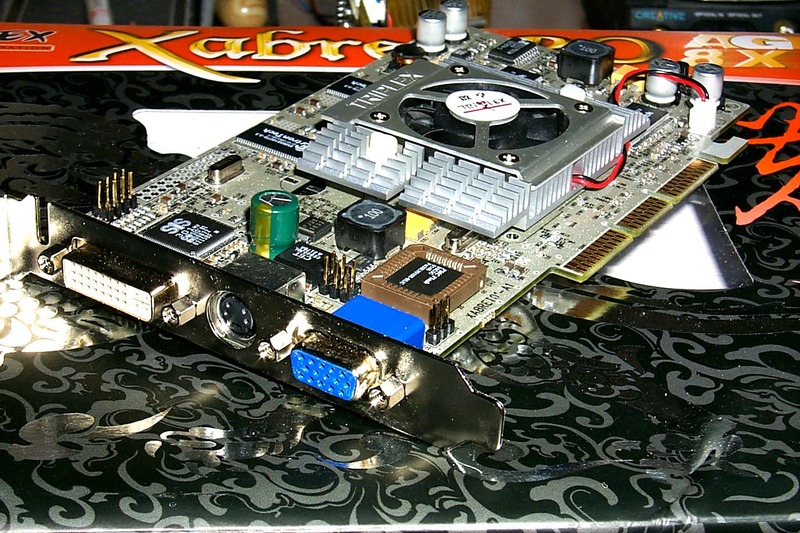 Heat reduction, as the whole card acts as a radiator. The details will be shown later. 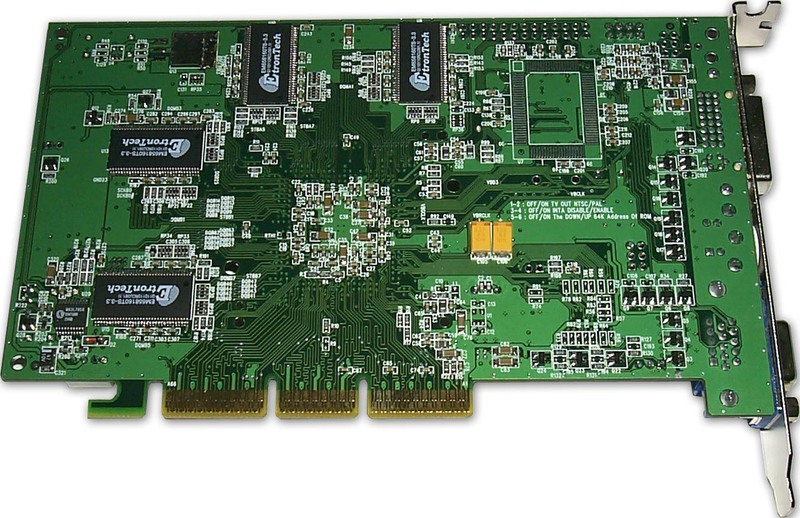 The card has AGP x2/x4/x8 interface, 64 MBytes DDR SDRAM memory located in 8 chips on both sides of the PCB. 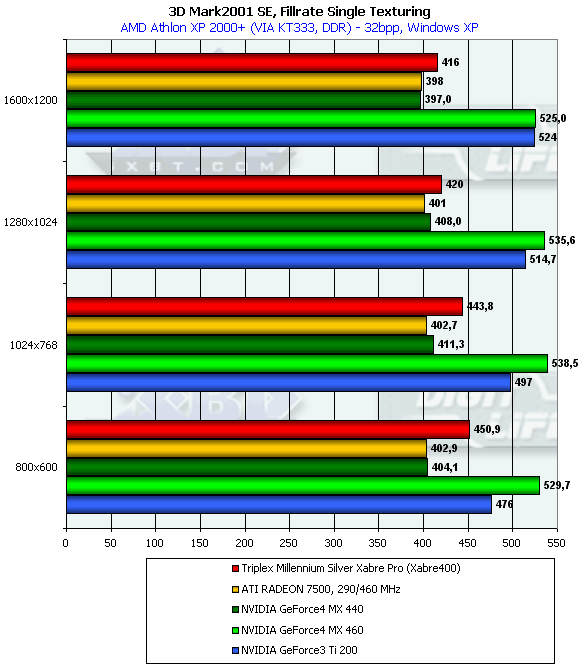 The EtronTech's memory has 3.3ns access time which corresponds to 300 (600) MHz. 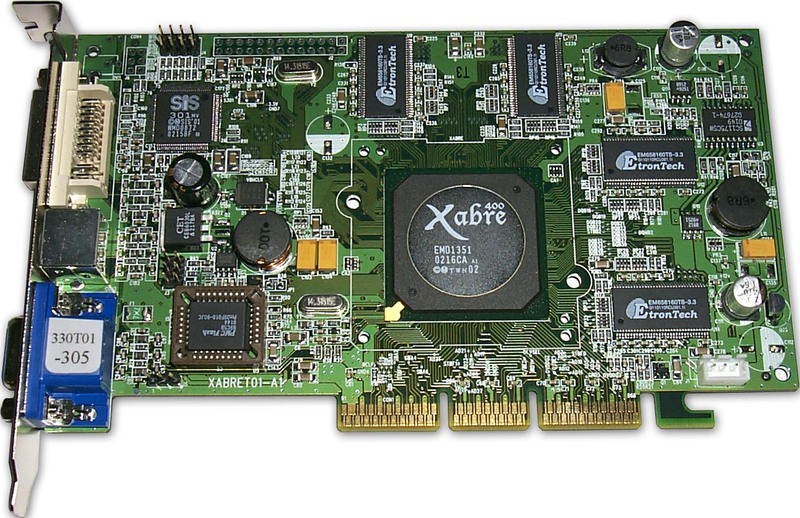 The cards works at the frequencies rated for Xabre400 - 250/250 (500) MHz. 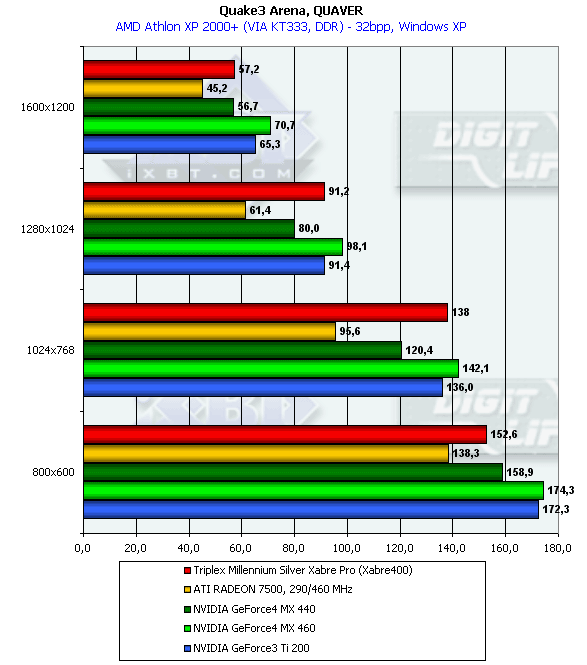 The Triplex Millennium Silver Xabre Pro follows the reference design from SIS, even the memory chips are from the same manufacturer. But I wonder why they used such fast memory for 250 MHz? 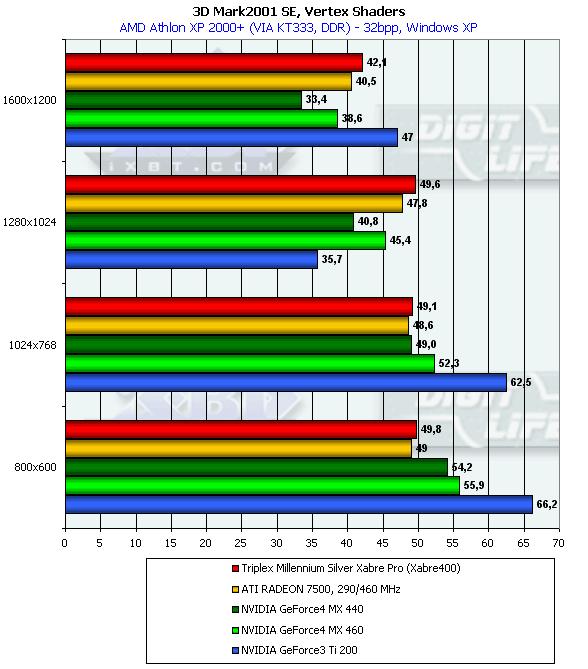 Note, however, that the overclocking potential is not great, although EtronTech is famous for it. Probably, it is because of the layout or memory timings. 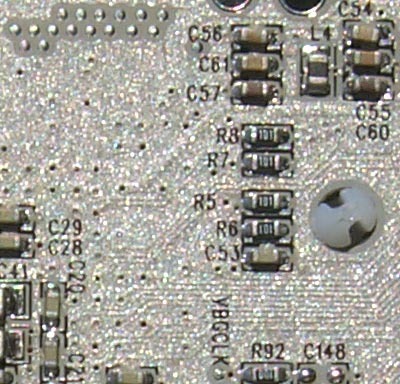 Despite the 0.15-micron process, the chip heats up considerably (probably because of 4 pixel pipelines and 8 texture units), that is why there is a metallic lid in the center for better heat removal. Again, I must say that it's impossible to overclock the GPU: at 270 MHz the card hangs in applications like 3DMark2001. 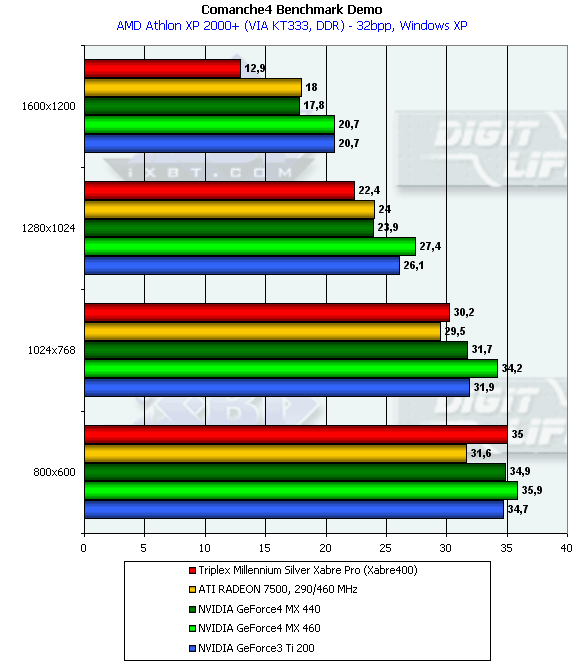 Probably, this is the reason SIS prefers not to speak about the Xabre 600 whose core must work at 300 MHz. Each element is isolated from the silver, which eliminates electrical problems. 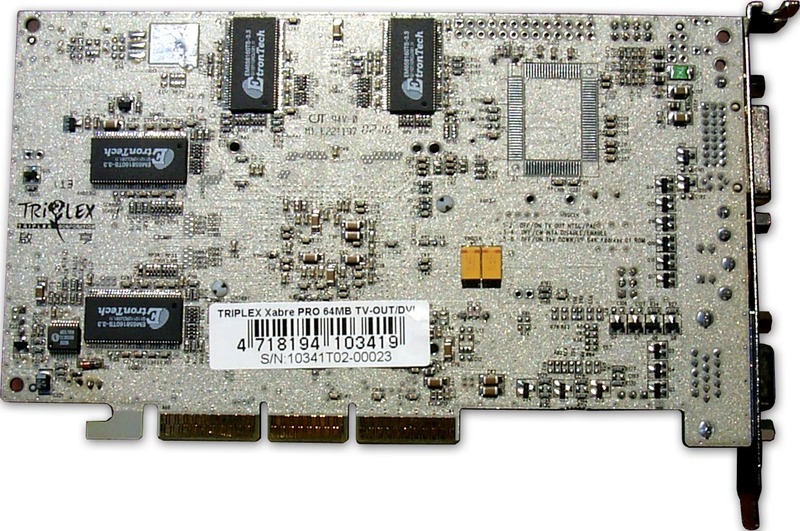 Note that according to Triplex, this layer reduces temperature of the card to 10-15 degrees Celsius. Now let's turn to the cooling device. While the Triplex card has a usual cooler and memory is not cooled at all, the cooling device on the reference card is really striking. It makes no sense to cool down chips only from the right side. 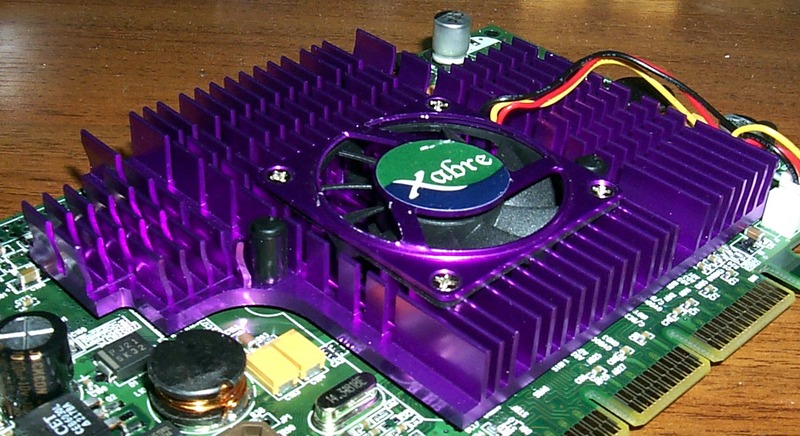 It seems to me that the heatsink is rather a decorative feature. The SIS 301 coprocessor provides multimonitor support. The desktop extension is a more interesting mode than the clone one. First of all, it is useful for movie lovers as they can run the a player on the second monitor. However, it's impossible to do this thing with the WinDVD because the player knows well the border between the monitors and you will see just a black window instead of a movie. On the contrary, PowerDVD is very useful for it - you can easily watch movies on the second monitor and work on the first one. The DVD playback quality is good; CPU utilization was 22-23% when it played MPEG2 clips. As there is no an S-Video-to-RCA adapter, I failed to test TV-out quality, though the Triplex card has both S-Video, and VGA and DVI. 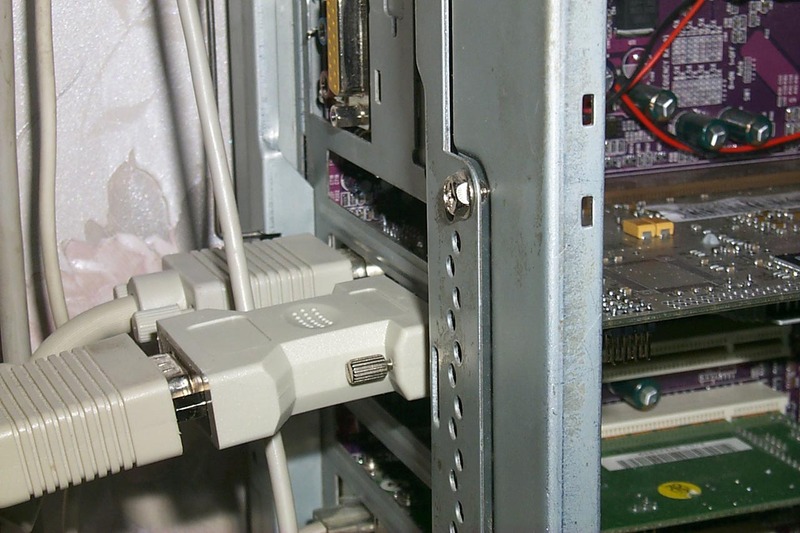 By the way, for the second CRT monitor I used a DVI-to-VGA adapter coming with the card. 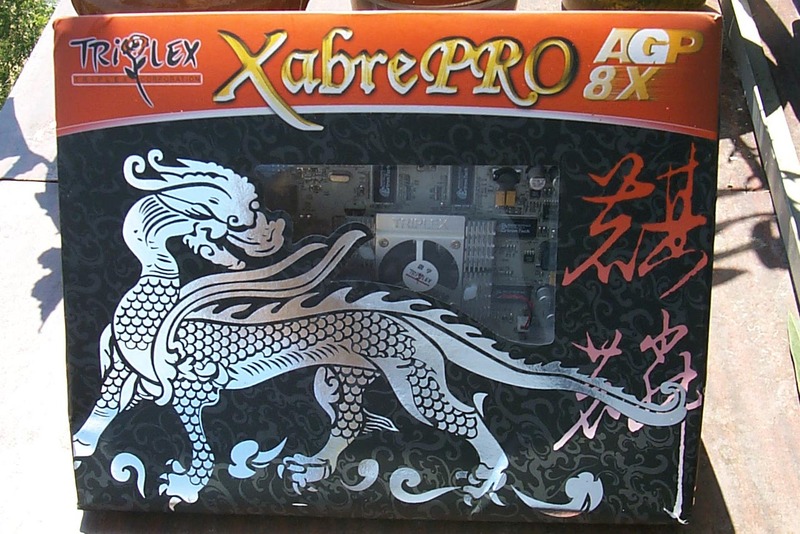 Now let's take a look at the excellent package of the Triplex Millennium Silver Xabre Pro! User manual, CD with drivers and utilities, DVI-to-VGA adapter, S-Video extender. The package looks like a pyramid. The design is magnificent. It's possible to overclock only with the PowerStrip (the Triplex's overclocker is still too raw). 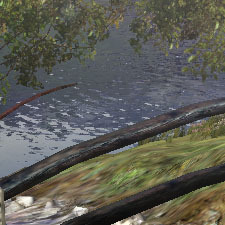 However, there were problems even when we lifted up the frequencies by 15 MHz - the image got some artifacts. The chip failed to work higher than at 268-270 MHz. So, overclocking is almost impossible here. No any 3D graphics settings, which is a bad drawback, and the tests will prove it. For the tests we used SIS drivers 3.02.53. 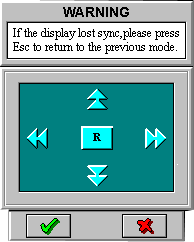 Note that it's impossible to disable the VSync. The S3TC technology was off. 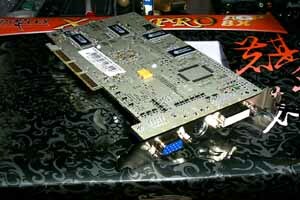 ATI RADEON 7500 (RADEON 7500, 290/230 (460) MHz, 64 MBytes, driver 6.071). Besides, certain monitors do not get along with certain video cards. Of course, we do our best to improve the situation, but at the moment I can't promise anything. As for the tested sample, together with the ViewSonic P817 monitor and BNC Bargo cable it showed the following quality: 1600x1200x100 Hz - bad, 1600x1200x85 Hz - satisfactory, 1280x1024x100 Hz -good, 1280x1024x85 Hz - excellent. 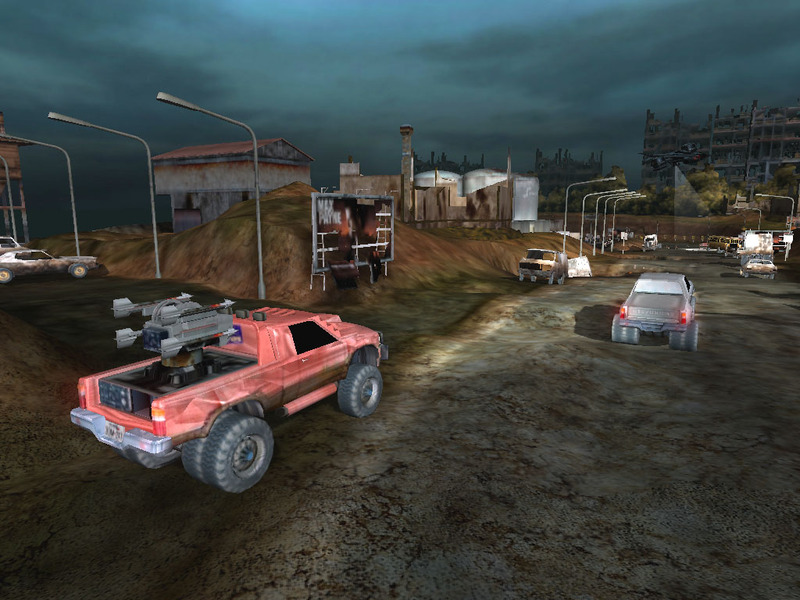 It should be noted that the latest driver version (3.02.53) the Serious Sam II test didn't work, however the Xabre operated flawlessly in this game on the previous version - 3.02.52. 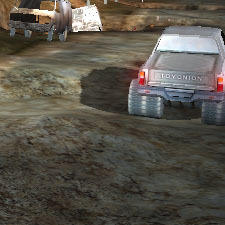 The tests were carried out in 32-bit color mode. The Xabre falls behind considerably. In low resolutions it's because of the lower core frequency, in higher ones - because of lacking memory bandwidth saving technologies. When the maximum number of textures is used at a pass the Xabre shows more optimistic results because of 4 fill pipelines and a capability to accumulate results of operation of the texture units rendering 4 textures at a pass. 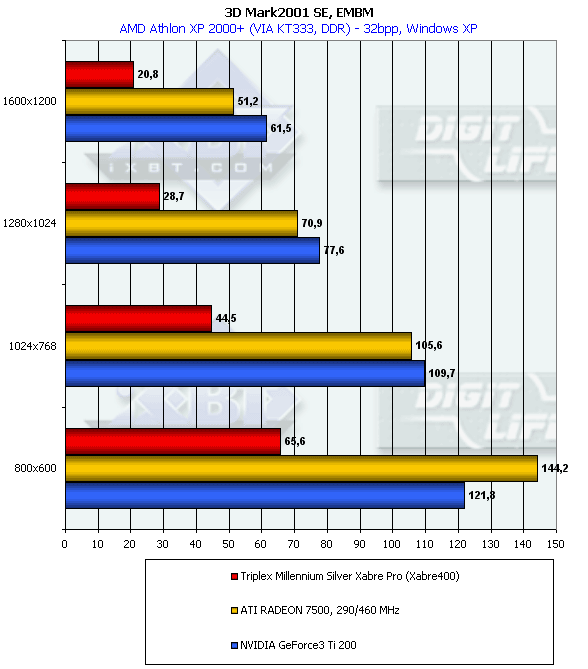 However, the GeForce 3 Ti200 and RADEON 7500 are still far ahead. 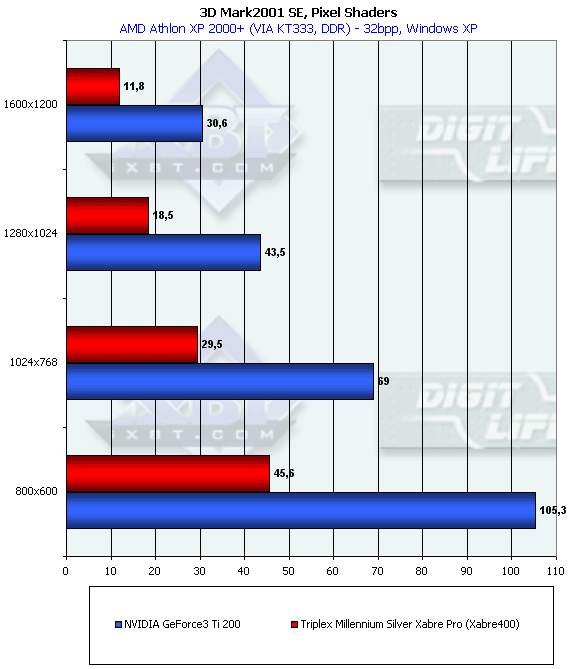 The T&L unit of the Xabre 400 outscores the RADEON but lags behind the NV17. The latter leads thanks to the higher core frequency. 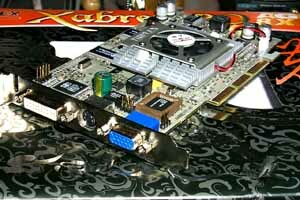 The GeForce3 Ti200 loses in this test being next to the RADEON 7500 which performs so awfully because of the T&L unit. When 8 light sources are used the Xabre 400 unexpectedly outscores the NV17. The T&L NV17, which is in fact a shader, grows (its length and time) with each new light source. And the Xabre, with its less flexible and nonprogrammable T&L, calculates light sources more effectively. 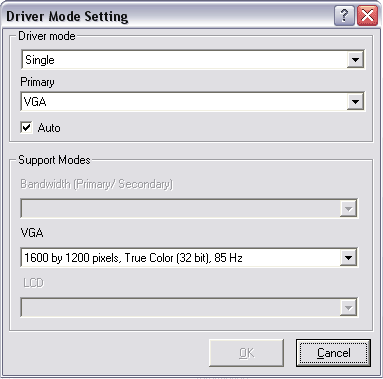 Or it's possible that the drivers take a considerable part of the TCL load. Thanks to the hardware support of pixel shaders the chip can work with a usual EMBM. But it makes it awfully. 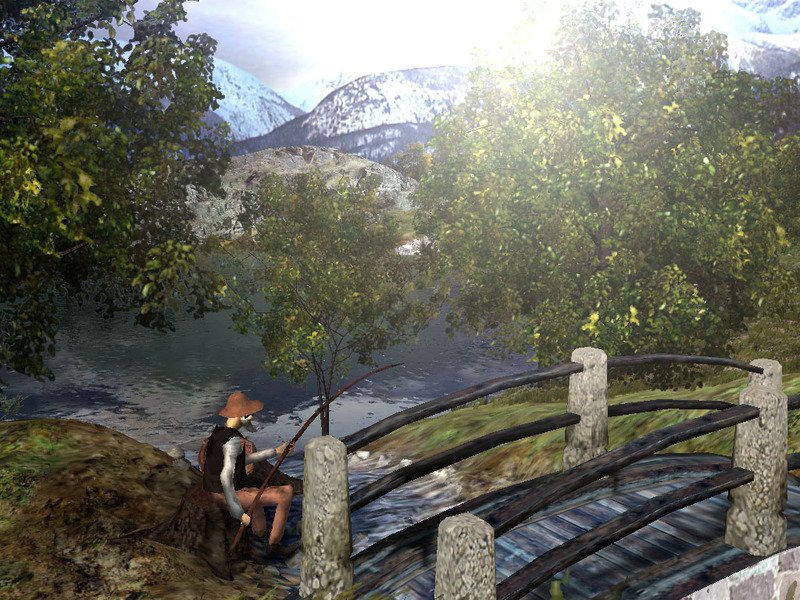 Here the Xabre performs excellently, thanks to 4 pixel pipelines. 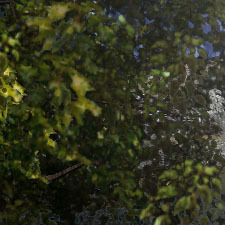 The software emulation of shaders is not bad, as usual. 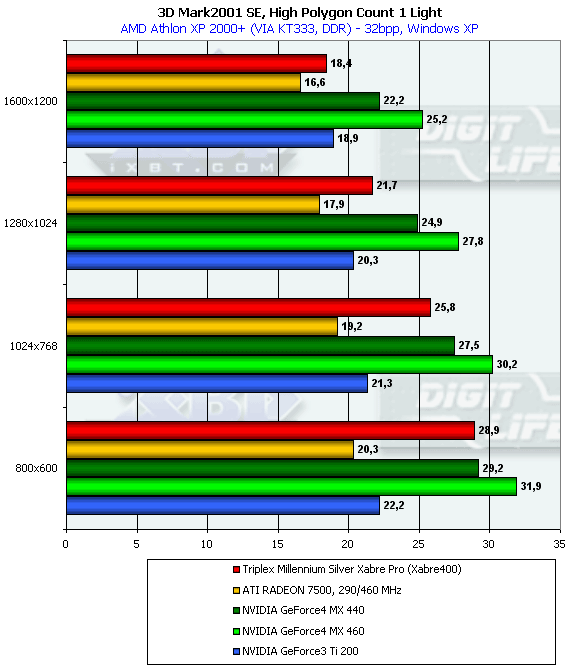 And only the NV20 (GeForce 3 Ti200) shows a brilliant advantage (on a hardware level) in low resolution. Well, it will be difficult to use pixel shaders in real applications because of a noticeable performance decrease. Besides, the Advanced Pixel Shaders and Point Sprites tests notify about an error and stop working. In low resolutions the Xabre400 goes on a par with the other contestants, it has caught up even with the GeForce3 Ti 200, but as the resolution grows it weakens. 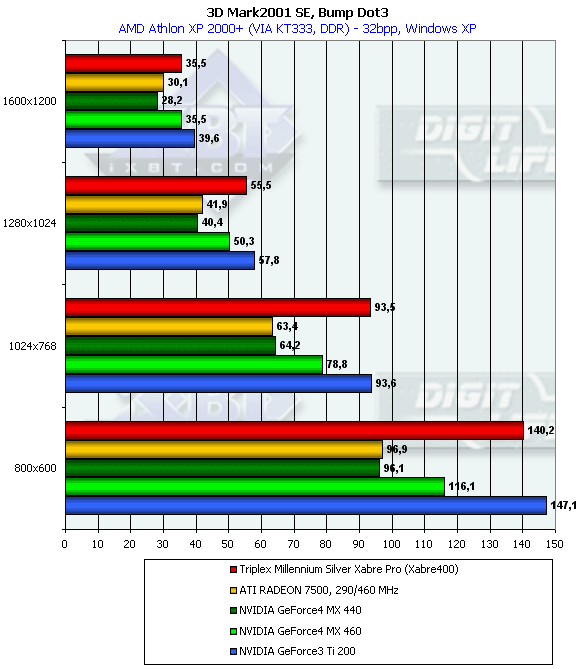 And in the end it falls behind the RADEON 7500, which despite 290 MHz has only two 2 rendering pipelines, instead of 4; besides, it uses only 4 texture units out of 6. It's well seen the memory is not enough. Without a normal overdraw optimization the Xabre loses to everyone here. This test is also quite tough for the SIS as it loads much with effects and complex scenes and the overdraw factor is higher than 3-4. Now it's clear that the Xabre shows moderate results in complex tasks which use shaders, contain a lot of effects and very complex scenes. 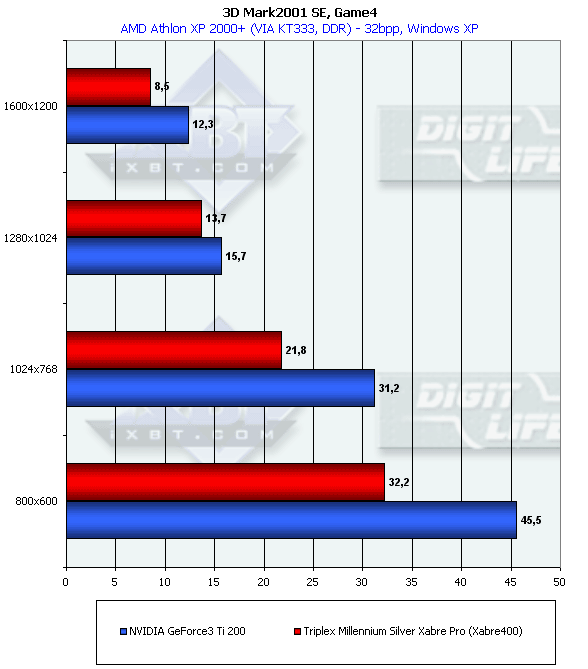 On average, the Xabre400 performs on the level of the GeForce4 MX 440: in low resolutions it outscores the latter, and in high ones it falls behind it by the same margin. 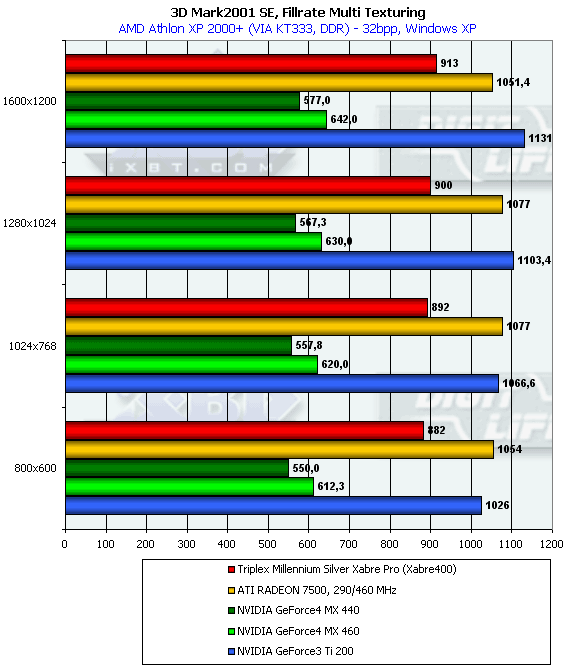 At 1024x768 they score the same results (although the MX 440 doesn't support pixel shaders and doesn't have Game4 results). No comments. See the analyses for the Game1 of 3DMark2001. In this test the SIS card performs better, because the ICD OpenGL is adjusted to the popular benchmark which is Quake3. But it is still unable to beat the GeForce4 MX 440. 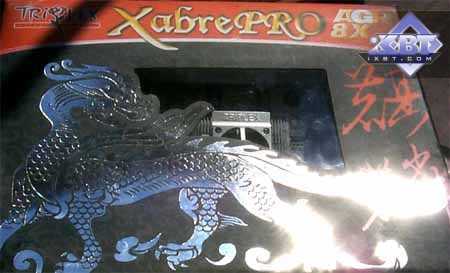 In this game the Xabre400 demonstrated the worst results, even lower than those of the GeForce4 MX440. 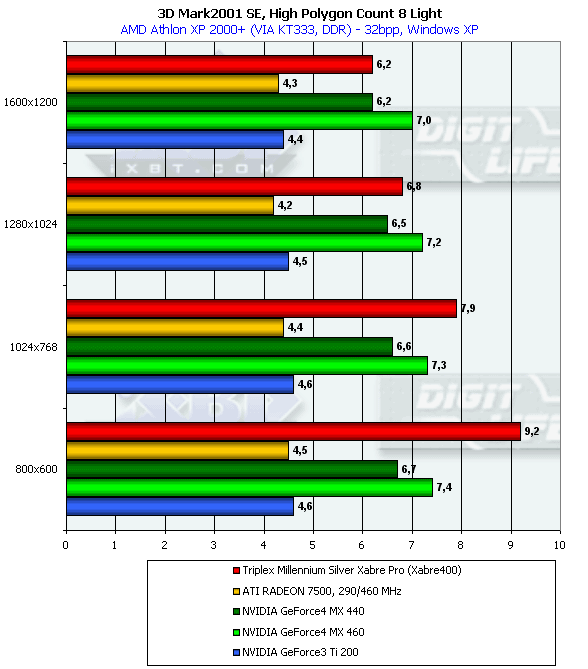 Let's test the card in the 3DMark2001 SE and estimate quality with the latest drivers. 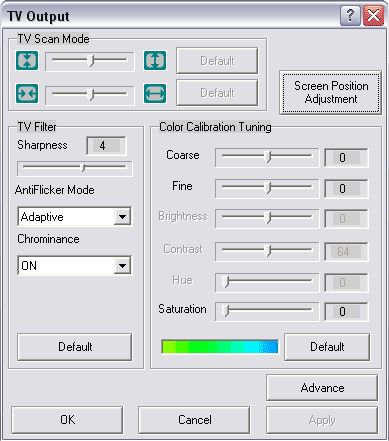 Note that there are no 3D settings in the SIS software! It's well seen that the MIP-mapping has a long way to go here. It's not just the LOD BIAS that shifted to the positive zone, but the levels are formed quite a strange way. At the same time, it's impossible to adjust it - SIS doesn't allow it (and PowerStrip can't do it). Look again at the realization of water in Game4. 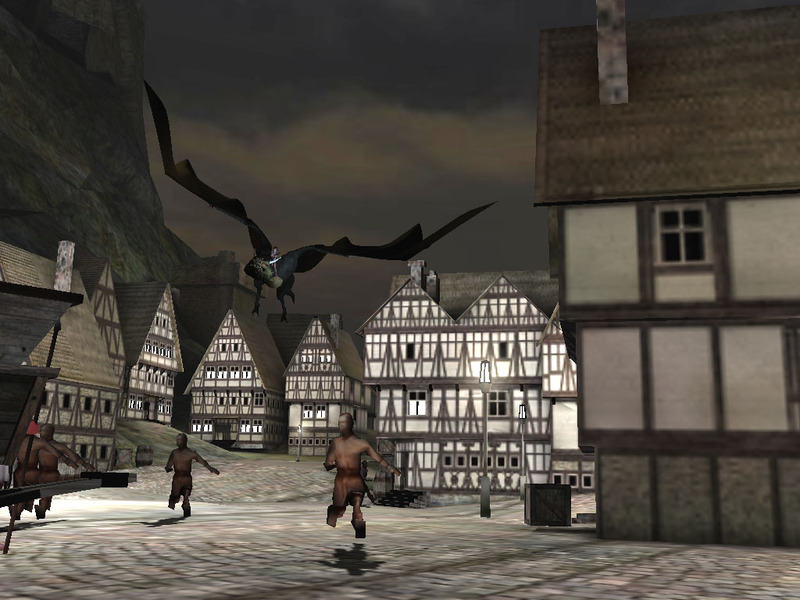 Then add lack of results in other tests connected with Pixel Shaders, and nonrecognition of this Xabre's function by Morrowind, and you will see that this function is awfully realized by SIS (it is similar to Hardware T&L of the S3 Savage2000). I hope SIS will soon release better drivers. Quality in other tests and games won't be examined today because soon we will publish next 3Digest with a lot of screenshots from many games and comments on quality of the Xabre. Drivers, drivers, drivers... This is a scourge of the today's life! Obviously, the pixel shaders are realized quite "cheaply", which results in their low performance. 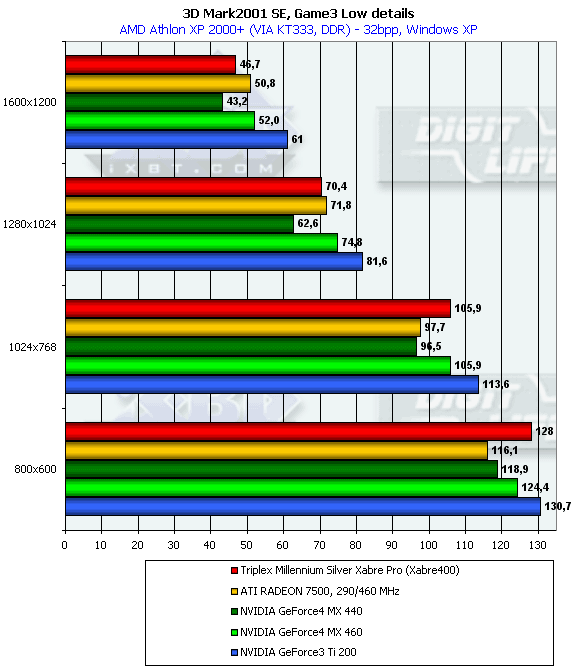 The problem of such a weak support of pixel shaders probably results from errors in the chip or drivers. Besides, the rendering quality (MIP-mapping) is unacceptable at all. 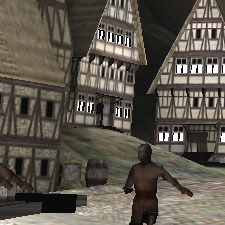 The graphics mustn't be blurred or resemble Voodoo 1 and 64x64 textures. The worst thing is that it's impossible for a user to adjust it! How dare they release a 3D accelerator and advertise different 3D capabilities without a single changeable 3D setting! I hope SIS programmers will hear it and eliminate the errors. In all other respects, the card works well. The complete characteristics of video cards of this and other classes can be found in our 3Digest.